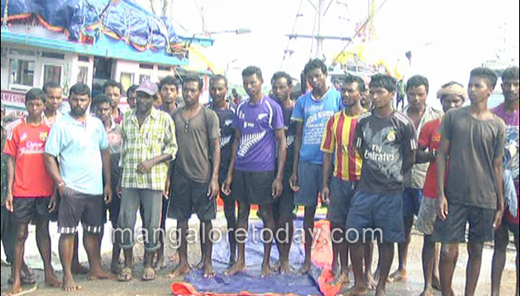 Karwar, Oct 13, 2016: Coast guard rescued 34 fishermen as boat capsizes at Karwar cosat in UttaraKannada . The boat owned by Gopichand of Karwar had gone on fishing with 34 fishermen. As they were on their way back after fishing activity the boat was about to capsize. The coast guard on receiving information reached the spot and rescued the drowning fishermen. All the fishermen were back safe to shore.